Mr. Gatewood is the Chief Information Security Officer for the State of Georgia. He leads GTA’s Office of Information Security, which unifies information security responsibilities for the state’s IT enterprise, the Georgia Enterprise Technology Services program, and GTA. Mr. Gatewood also leads the development of the Georgia Cyber Security Workforce Academy for the State of Georgia. He has more than 33 years of experience in cyber security programs for the U.S. military, state and federal governments, higher education, and global corporations. Prior to joining GTA, Mr. Gatewood served as Director of Cyber Workforce Development for Dell Secureworks. 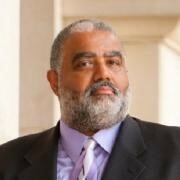 He was also the Chief Information Security Officer for the Board of Regents of the University System of Georgia, Chief Information Security Officer for the University of Georgia, Interim Vice President for Information Technology and Chief Information Officer for Albany State University. Mr. Gatewood is a distinguished fellow at the Ponemon Research Institute, the widely known research center dedicated to privacy, data protection, and information security policy. He has also received numerous honors for his work in the field of information security, served as an active member of several professional associations, and published articles on information security.